Carrots ‘Chantenay’ (Daucus carota 'Chantenay'): growing, planting, caring. Chantenay carrots are perfect for everyone ! 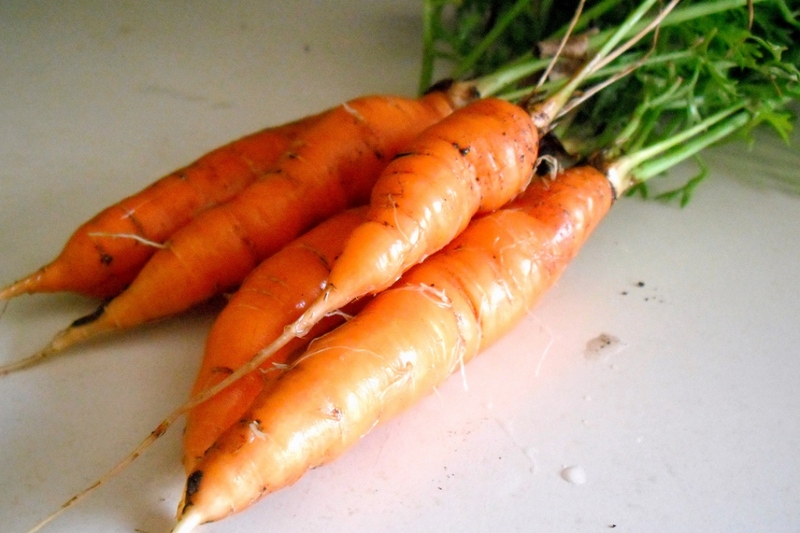 Extremely versatile and producing well even in heavy soils, Chantenay are large stump-rooted carrots with a deep red-orange center, great for juicing or fresh eating. Half-long variety, rather conical root. Sow this variety at the beginning of the season, from early March or a little later depending on the region, for a summer harvest in early autumn, in lines 25 to 30 cm apart, with sunny exposure. If possible, use protection to keep the soil moist until seedling development. Thin out your seedlings! Make two separate passes, keeping one plant every 3 cm when the little plants are 3 cm high, then keep one every 8 cm once your carrots each have three leaves. They should be the size of a little finger. After thinning your carrots, mulch them to limit weeding and watering. Outside of sowing time, watering isn't needed, with the except of periods of prolonged drought! Water the seeds with a fine mist to avoid overly dispersing the seeds or damaging the plants. Watering at the height of summer may prove necessary in case of serious heat — water seldom but heavily, this will stop the roots from growing "crossed'. Two parasites to look out for — first, carrot flys, whose larvae dig and tunnel into the roots. Keep them away by seeding your carrots near onions, garlic or other Alliaceae. During humid periods, fungual alternariosis may attack the foliage and cause it to rot. Treat with Bordeaux mixture. 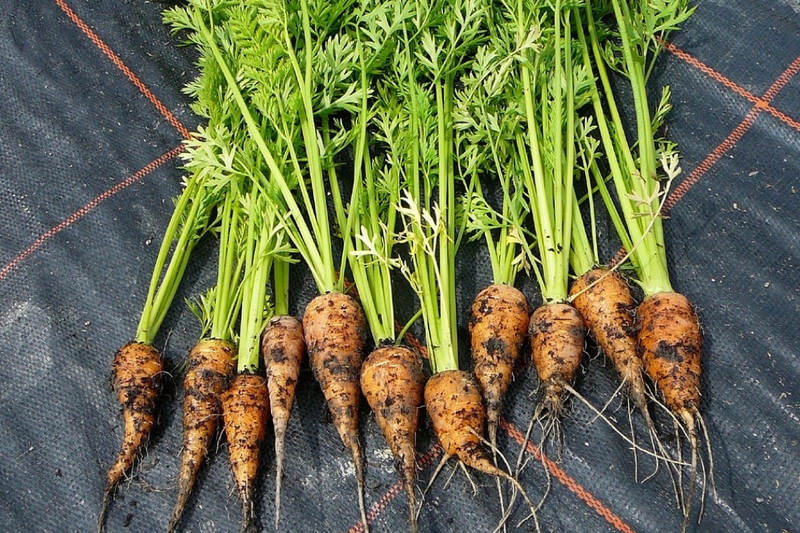 Harvest your carrots as you need them, before flowering. Use a gardening spade so you don't break them. Your carrots were all harvested and you harvested the seeds? Now you can tear them up to make room for a new crop, if needed! Otherwise, leave them in the ground until next season.